Well, here I am, another year older! Then again, I will fight that until 10:23 PM, then there's no denying it! More on that later, because when this post goes live, I'll be rushing out of the house to start my day with my family and friends. Birthdays are nothing like they used to be, but perhaps they are more special. There's more love in my life than ever before! Easter week is so busy for our family. Even more so with a birthday thrown in! We only had a small window of time for dyeing our Easter Eggs. That time was tonight (Technically last night, but I haven't gone to bed yet!). The girls were super excited! 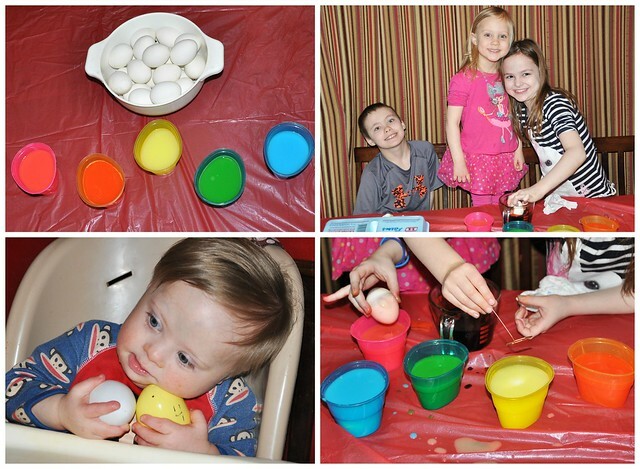 Egg dyeing night with 4 kids is best described as somewhat organized chaos. It took many years for me to let go of my expectations, but I did, and things go much smoother now! ~Buy a plastic table cloth to cover your table with. Throw it away when you're done. 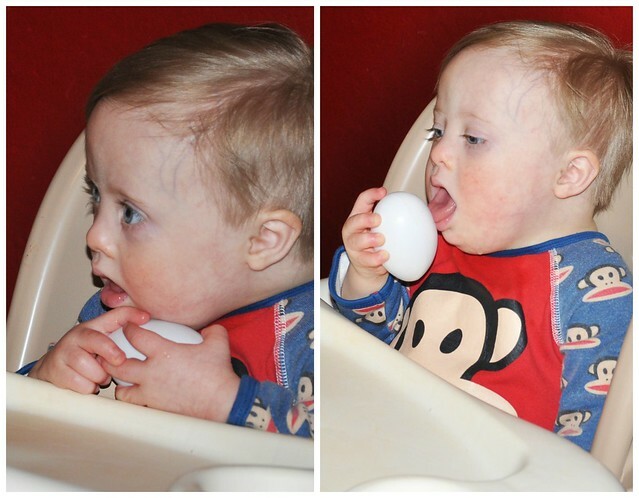 ~Put the baby/young toddler in the highchair and give him/her fake eggs. Watching is just as much fun for them and MUCH easier for you! 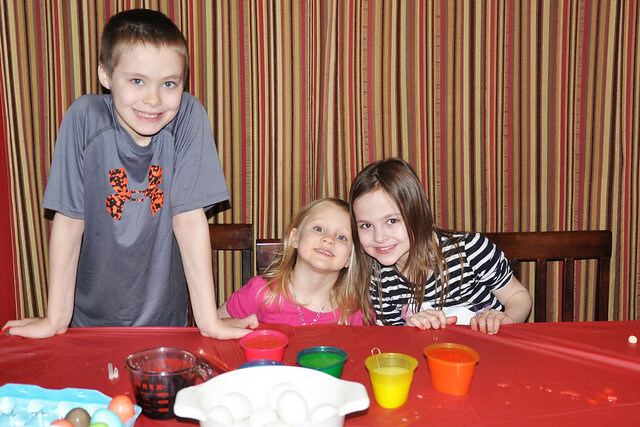 ~ Just let the kids dye the eggs however they want. Gone are the days of beautifully decorated eggs. ~Tween boys do not enjoy dyeing eggs. ~Forget the Ikea bibs and old clothes. Clothing can be washed. ~Sit down the camera and let the husband take pictures for once! 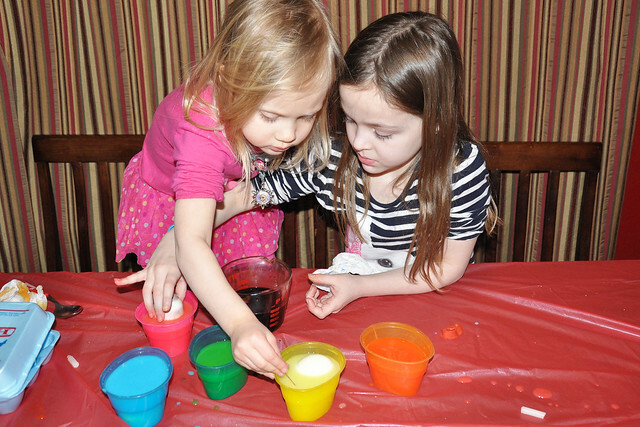 We decided to try the Kool-aid method for dyeing eggs this year! 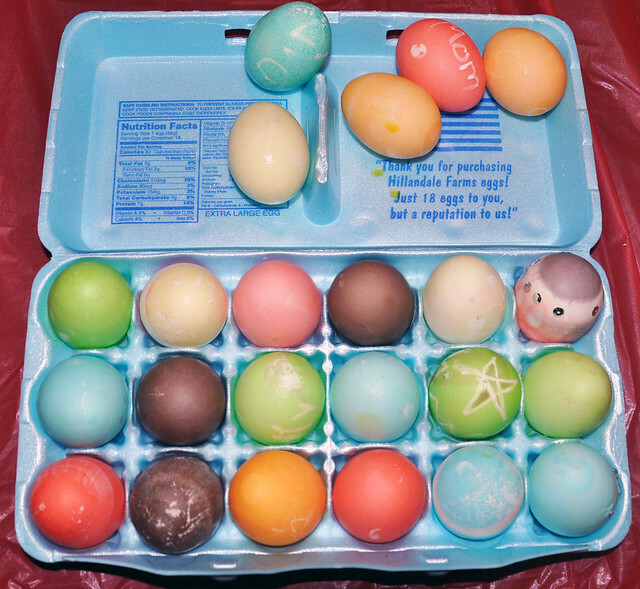 It was easier than I expected, and the egg dye smelled REALLY good! Plus, it easily washed off our hands. I'm a convert! Pour a packet of Kool-Aid into a container, add 2/3 cup of water, and stir until the Kool-Aid dissolves. That's it! Just a small note: the grape flavor dyes the egg a dark purplish-brown color. My kids thought it was a cool color, but I should have used the lighter purple! 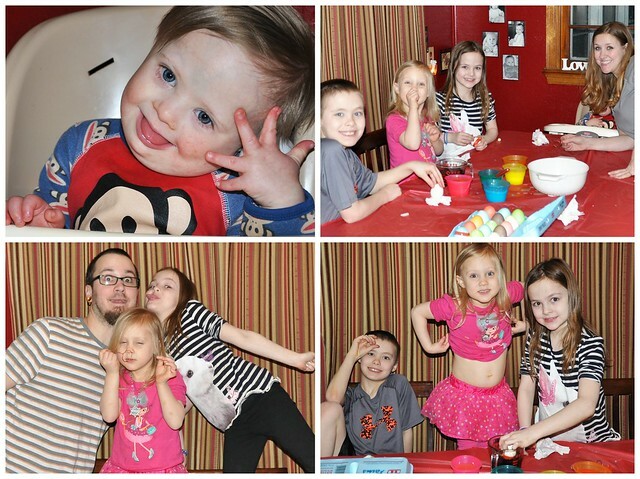 The girls loved dyeing eggs, Dylan played along, and Liam laughed (and probably thought, "Who are these crazy people?!?") and tried to eat his fake eggs. It was chaotic, and it was all over in about 10 minutes! Everything wasn't perfect, but it was a memorable night! 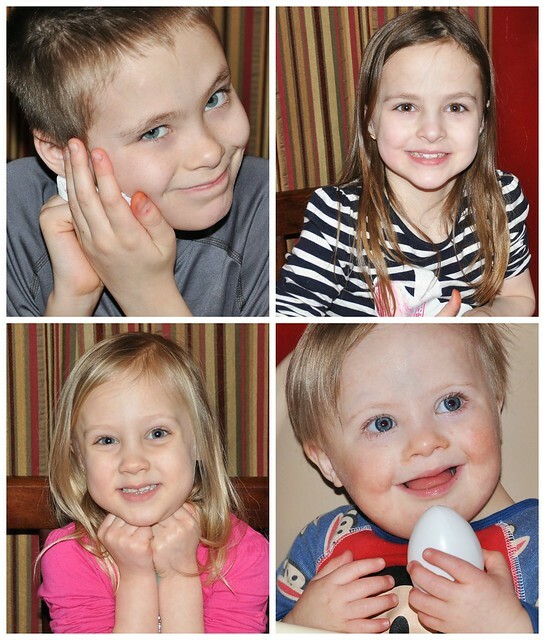 I know I will always remember these sweet little faces just how they looked tonight! Nothing wrong with that! 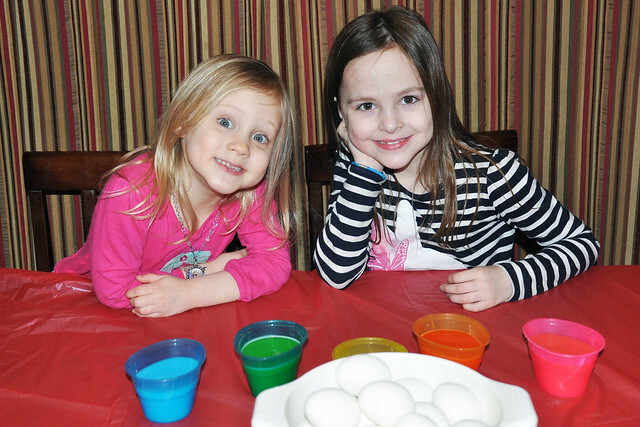 My girls love to dye the eggs, and we love to eat them, so it's a win-win for all of us!